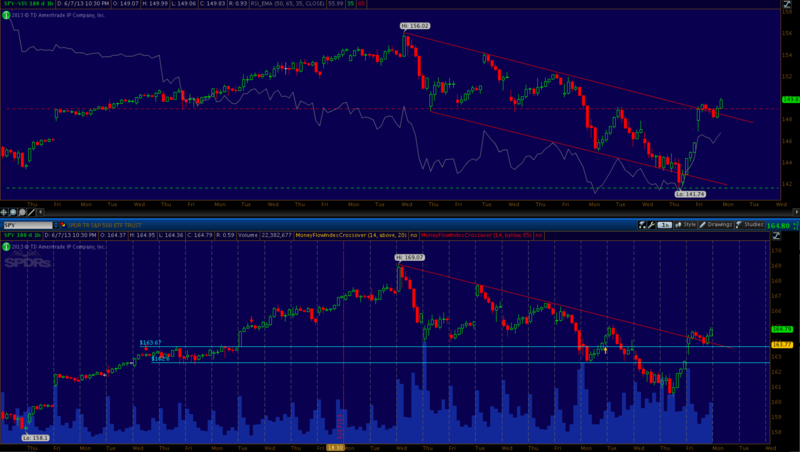 First off, 1h SPY (and VIX-SPY with RSI). 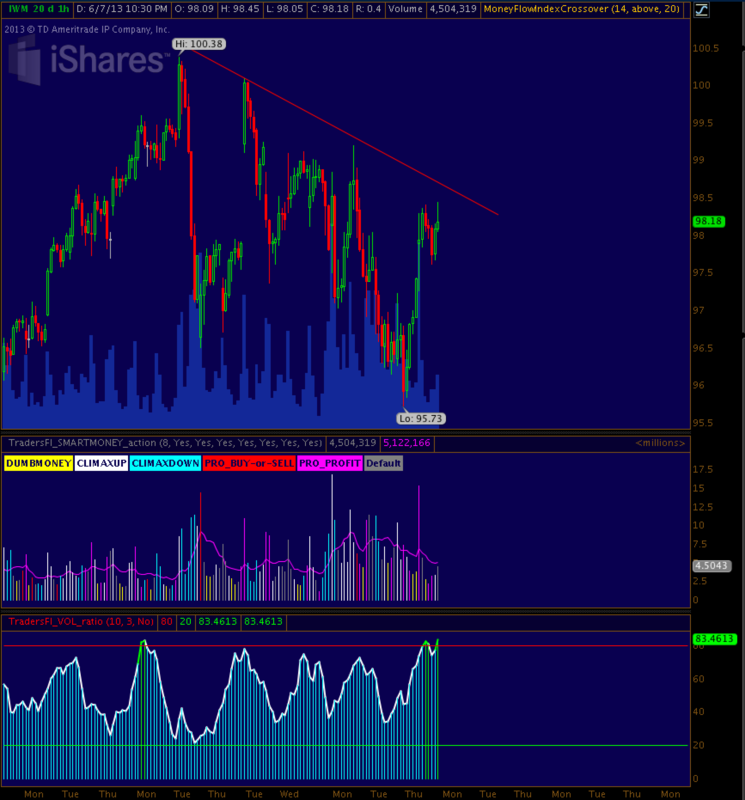 Bearish trend line is broken, note also the positive divergence on SPY-VIX RSI. So, what next? I don’t know but I’m guessing on some kind of a (small-ish) pullback at the beginning of the week. If the pullback is volatile and all the way down to ~1600, bulls heads up! At least from the 1h IWM chart, I read the action as big money exiting short positions and switch to long for a fast profit @ ~98. Now it is up to them bulls to make the move continue higher..
@Kimmo: Locking in profits (+ adjusting stop win levels) or hedge with some puts could be a good idea next week (and why not also get rid of weak stocks?). My best guesstimate is that we could go all the way up to 1680 – 1700 but I don’t expect new highs right now. On a yearly basis, SPX seldom close above +15%. Today year-to-date is + 15,23%. So “Sell on strength” / lock in partial profits seems like a good idea and furthermore adjust those stop-win levels.